Inhumane acts of the Turkish army and allied jihadists continue in Afrin. 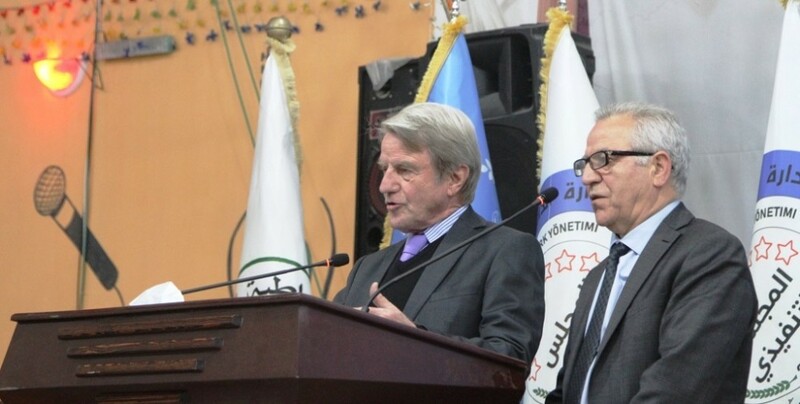 Two years have passed since the founding of the Civil Council of Raqqa. Despite limited possibilities, the Civil Council has been able to implement important projects. Fighters of the Wrath of the Olive Operation Room and Afrin Liberation Forces hit the invaders in Afrin. The Afrin Autonomous Administration protested the war crimes committed by the invading Turkish state and their allied gangs in Afrin. The administration said silence in the face of Turkey’s attacks means support for attempts to revive ISIS. The invading Turkish state is putting up 3 meter high walls to separate the Kimare and Berade, and Meryemin and Cilbire villages in Afrin’s Sherawa district. Turkish state allied gang groups are confiscating people’s homes in Afrin. The discovery made by the YPG of Turkish-made ammonia gas in an ISIS depot. As part of the tree planting campaign launched in the northern Syrian city of Raqqa in mid-March, the Civil Council has planted 7,000 trees in the former capital of the self-proclaimed ISIS caliphate. 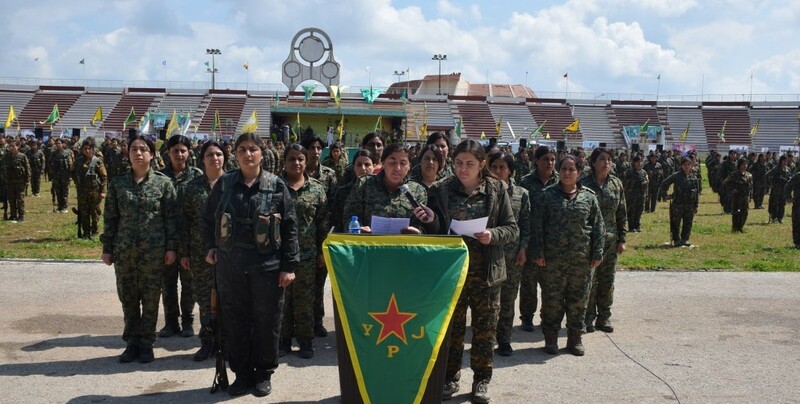 Women are among those kidnapped in occupied Afrin. After the 15 civilians kidnapped in Sera, ISIS mercenaries and Turkish occupying forces have kidnapped 14 more civilians in Rajo, Afrin. Crimes against the local population continue increasing in occupied Afrin territory. 9 people lost their lives and 9 others were wounded as result of an attack in central Raqqa on Tuesday. 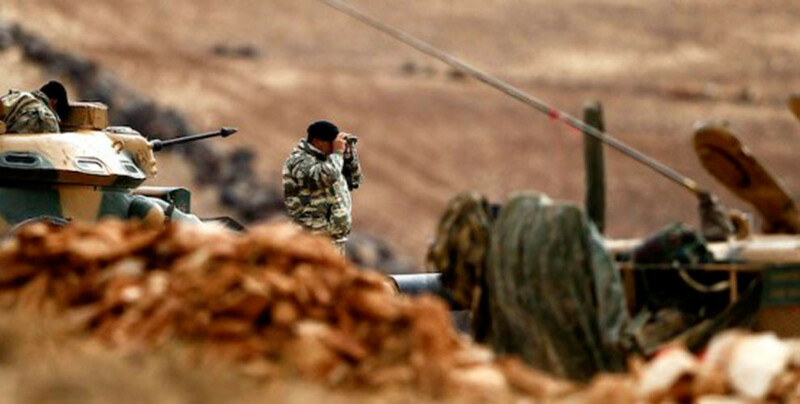 Syrian regime forces and the Ankara-backed gang groups engage in clashes in the north of Hama and south-southwest of Idlib. SDF General Commander Mazlum Ebdî said that the victory against ISIS was achieved thanks to the efforts of the martyrs and the solidarity of the peoples on the front line. A civilian died in Tabqa as a result of an explosion in the city center. Four civilians, including one woman and one child, were injured. The occupation forces in Afrin have demolished Alevi and Yazidi cemeteries and abducted many civilians. Prominent members of society and Arab sheiks in Afrin and Shehba called on clan leaders in Syria to stand against Turkey’s invasion. Afrin Liberation Forces continue inflicting blows on occupation forces in occupied Afrin region. Yet another civilian was killed by the atrocities of the Turkish troops and allied jihadist mercenaries that have occupied Afrin. The persecution of civilians in the occupied Afrin territory continues. SDF Official Redur Xelil reiterated their call for an international court to be formed for the trial of ISIS prisoners held by SDF in Northern Syria. Turkish forces bombed villages in Afrin, killing a child and wounding more civilians.